Get organized. Live more simply. Reduce stress. These are some of the buzz words and phrases that we are hearing and seeing all over the media these days. But why would you actually need to hire someone to help with your home organization? Today it’s the norm for busy working families to outsource many things – the lawn service and cleaning help are the most standard. In addition, there are now chefs that will come into your home and cook, and personal shoppers who can advise you and assist in choosing your wardrobe and home décor. When I was growing up, a lawn service was unheard of. I was the first lawn service for my parents, followed by each of my brothers. I’m not complaining about how much harder my generation had it; I’m simply explaining that things have really changed. People are generally working more hours with an expected normal of 24/7 availability. And kids have more scheduled activities than ever! Time for the current younger generation has become much more precious. The focus has morphed to more relaxing during the ‘off-times’ so one can recharge for the ‘overly-busy’ times. So why not hire an organizer? You may have really good intentions, but somehow you cannot get there completely on your own. You may have experienced changing life circumstances, are now on your own, and cannot keep up. Hiring the right person can light a spark to get you started. Maybe you need someone to set up a system for paying bills and safe keeping important papers? Maybe you need help in clearing a room or just a closet? Maybe you need to get your home ready before it goes up for sale? A professional organizer can help with all these tasks. 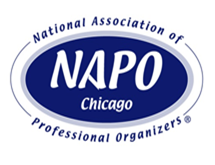 Check with us next month as we provide some advice for hiring the right organizer for you! 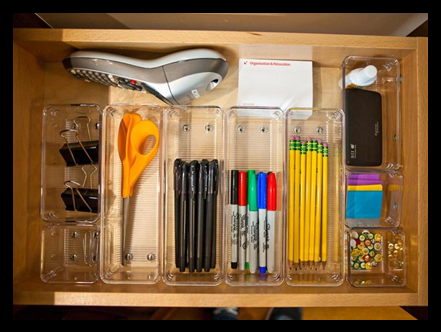 And in the meantime take a look at our top ten list of why you should hire an organizer. I’m guessing all of my readers fall into at least one of these categories. 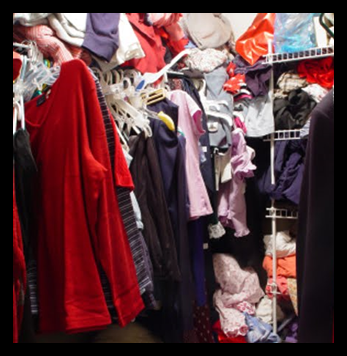 You can no longer navigate through your basement or attic, yet you still need to get to the basement to retrieve your laundry. Your mother-in-law will be visiting for a month. You need to make extra space for her. You are also worried about the comments she is likely to make about your home. You are losing your keys and/or reading glasses more frequently. 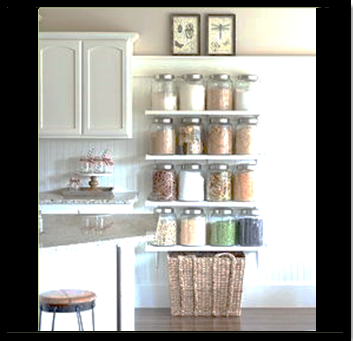 Getting your home organized will solve this and you can rest assured that it’s not your memory that is slowly going. You are getting late fees for your bills. And your significant other is rather upset about it! You have cleaning help, but you spend an hour getting the house picked up beforehand, so your cleaning lady can actually clean when she arrives. Having cleaning help is now stressing you out! It’s too much trouble to invite friends over. So you spend more money by going out instead. You can’t walk anywhere in your home without looking down, so you don’t trip over a toy and injure yourself. You spend extra money purchasing new gadgets and toiletries because you cannot find what you have. It takes you more than ten minutes to figure out what to wear to work each morning. And once you do, you cannot find matching hosiery for your outfit. Winter is here and you cannot fit your car in the garage because it’s full of other stuff. You are now one of the 25% of Americans with two-car garages who don’t have room to park their cars in them.